English Jokes Joks : Crispy Funny Jok of the Day Daily Humar Adult Comedy Sardar Doctor La: Dentist joke : How much it cost? 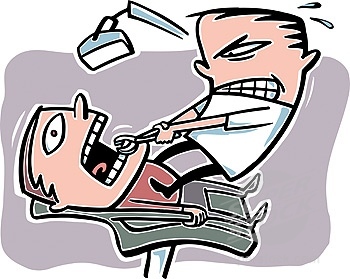 Dentist joke : How much it cost? How long will it take to pull my tooth? The patient asked the dentist. ˜For only two seconds of work? Well, The dentist answered coolly, I can pull it very slowly if you prefer !